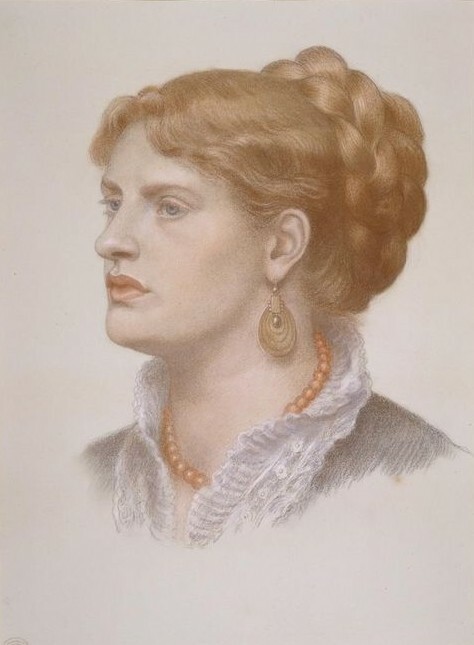 I really should start this blog with Fanny Cornforth, as she is my overriding concern, obsession and general bore-subject in the realm of Victorian art. However, I will start with a subject much on my mind at moment: Men. 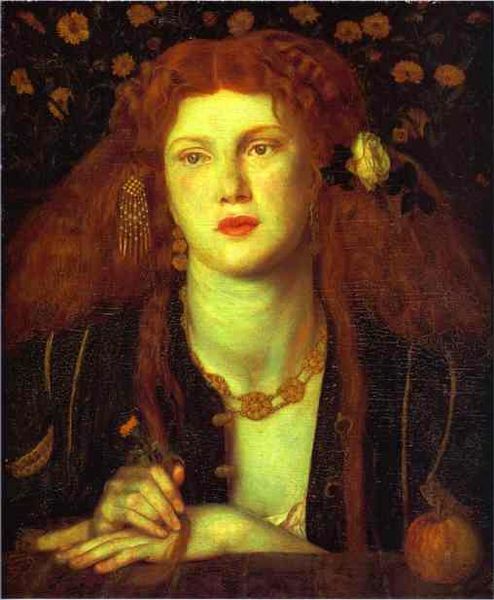 Sorry, let me rephrase…I am currently obsessing over the links in visual aspects of Peter Jackson’s The Lord of the Rings Trilogy and Pre-Raphaelite art. See, when you say it like that it sounds vaguely intellectual and not like I spend my time giggling over medieval boys in armour. Honestly. O What's That in the Hollow? It started when I went to see the recent exhibition on Pre-Raphaelite drawing in Birmingham. There were a cavalcade of stunning works (even though they did not get out their amazing pastels of Fanny Cornforth. You see, I am obsessed), but the picture that made me gasp was O What’s That in the Hollow? by Edward Robert Hughes (1851-1914). The reason this absolutely beautiful work made me utter a completely un-ladylike phrase in a room full of quiet intellectual types is that it could have been a still from The Lord of the Rings. 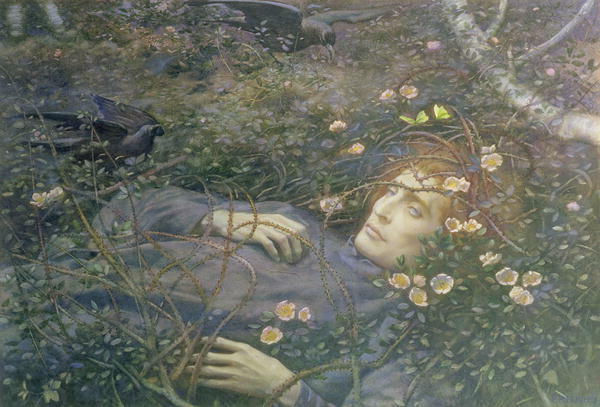 It immediately made me think of the Dead Ones in the Dead Marshes, and comparing the images I began to wonder if Tolkien was a Pre-Raphaelite fan. 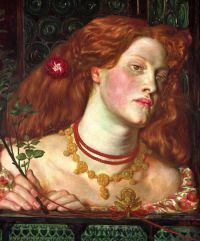 The reason I was drawn to the image was that it is a bit of a rarity among Pre-Raphaelite art, in that it is an image of a dead man. Now, this is a subject for another time, but thinking about it, there are very few images of beautiful, dead men. 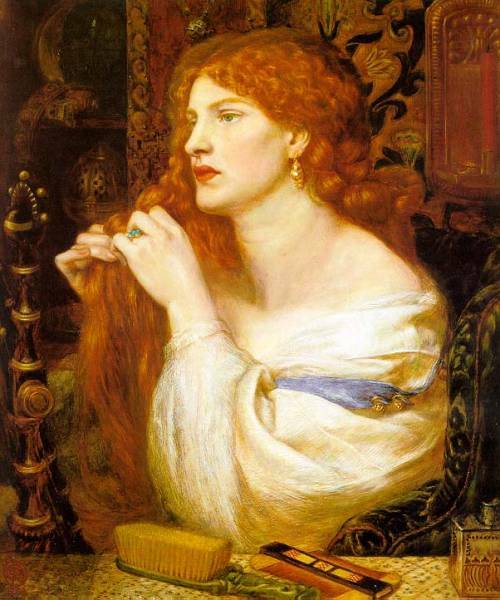 Off the top of my head, I can think of only Chatterton by Henry Wallis (1830-1916) and Rienzi Swearing to his Brother he will call his Painting Something Shorter Next Time by William Holman Hunt (1827-1910), and possibly The Wounded Cavalier by William Shakespeare Burton (1824-1916), unlike the endless images of Ophelia, the Lady of Shalott, Elaine, Beatrice and so on. It is generally held that the inspiration for the Dead Marshes were the fields of the First World War, and you can see how Frodo and Sam, picking their way across these haunted pastures, now sodden and steaming with cut down life seem to owe more to First World War images than Victorian Medievalising. Hughes’ image is a corpse hidden in a forest, a ‘thin dead body which waits the eternal term’, but roses grow over the body, which has yet to decay. Either you believe the man inserted himself very carefully among the roses before dying or he is simply not corrupting, remaining intact, his eyes still open, awaiting some further course of action, like the Dead Ones. 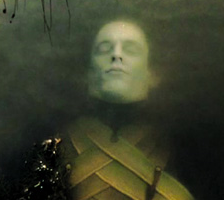 Peter Jackson’s Dead Ones that lure Frodo into the marsh are fairly intact at first glance, still elfin, elegant creatures, but unlike Hughes’ preserved young man, whose lack of decay could reference sainthood, the Dead Ones have become possessed of the evil of Mordor, which keeps them intact for uncertain purpose. 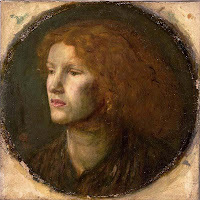 The words ‘Fellowship’ and 'Brotherhood' could be interchangable in the worlds of Pre-Raphaelite Art and The Lord of the Rings. Think of images of the fallen King Arthur, being taken to the edge of the lake, then think of Boromir, set adrift in his boat, fallen but not forgotten. In Arthur Hughes’ The Knight of the Sun, Arthur is carried to the water’s edge by his loyal knights. 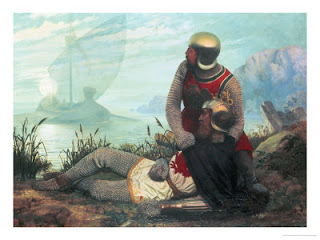 In John Mulcaster Carrick’s Morte d’Arthur, Bedivere rouses the dying Arthur to assure him of his passage to eternal life, coming across the water. Aragorn and Boromir play the same parts, only reversed with the king reassuring the erring knight that his honour is assured, the battle will be won. 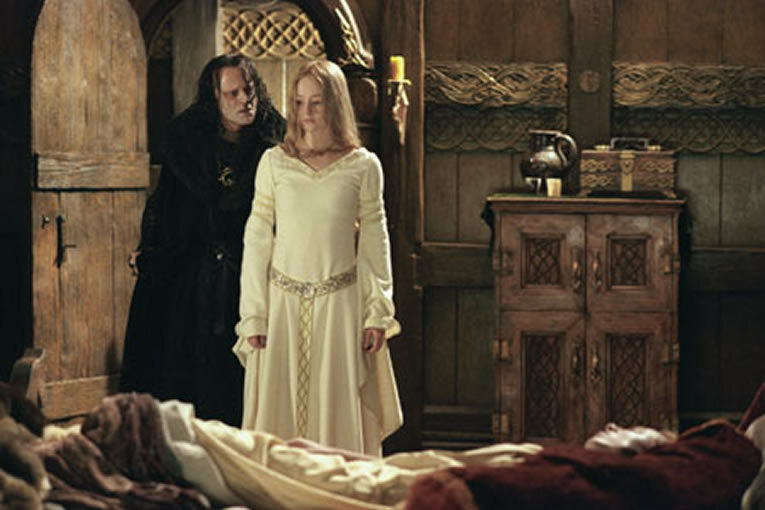 The Lord of the Rings iconography seems to be couched in terms of the Victorian notion of medievalism and the romance of Camelot. 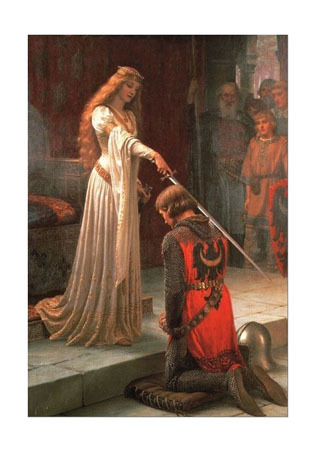 The still of Eowyn in her ‘bower’ could well be any number of Pre-Raphaelite maidens, shown here with The Accolade by Edmund Blair Leighton (1852-1922), with her long cuffed, girdled dress, and flowing hair. It is not beyond argument that the designers for Peter Jackson’s films were influenced by this pictorial tradition, as it seems to have many parallels in the films, but when addressing the source material it becomes a little less clear.